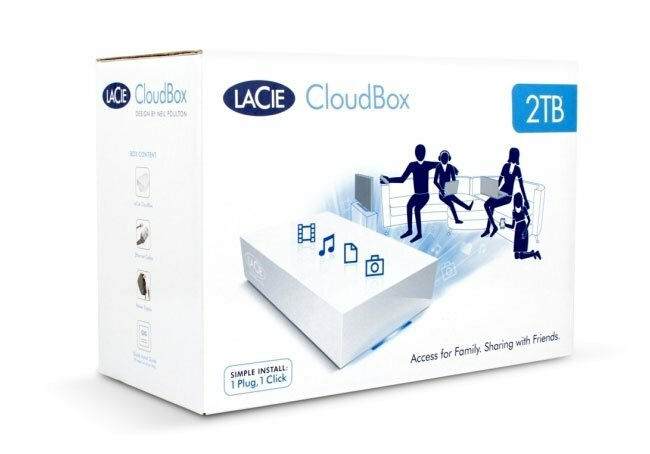 LaCie has today launched updated versions of its storage solution the LaCie Cloudbox, which has been re-designed to allow families easy access to media from multiple devices. The Lacie Cloudbox when it first launched was available with 100 GB of storage both locally and within the cloud. However the newly updated versions of the Lacie storage are no longer supplied with cloud storage, but instead have increased local storage. Watch the video after the jump to learn more. LaCie, the CloudBox has been designed by Neil Poulton and is now available with the 1TB version starting at $120, 2TB for $149.99 and 3 TB for $179.99 all available via the LaCie Online Store and LaCie resellers.